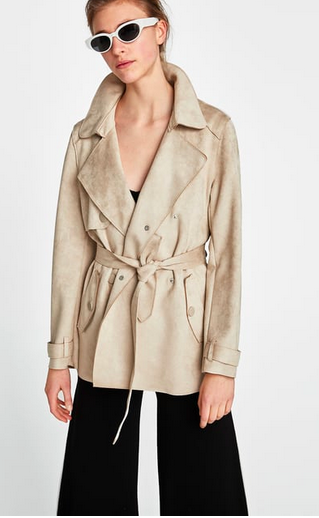 Since Spring is knocking on our doors I’ve been excited to add a Trench Coat to my wardrobe. I realise that I have a lot more Autumn/Winter coats and my spring wardrobe needs to do some catching up. Enter the Trench Coat. Growing up I would see middle-class women looking chic AF and I wanted to look like that too, and look down on the peasants. That seemed to be the prerequisite of wearing the Trench Coat in those days. 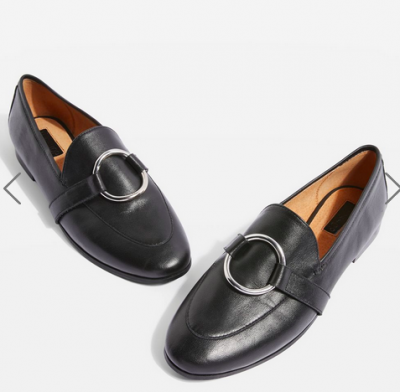 They are the perfect transitioning coat for in-between seasons. It was an alternative to heavy serge greatcoats worn by the British and French soldiers in the First World War, 1912. Thomas Burberry was one of the clothing Brands that claimed its invention. The original colour was Khaki and each feature of the coat was specifically designed for a reason. It was water and windproof, the epaulettes were added to display the rank of the officers and the D-ring belt was thought to hold hand grenades but it was actually for attaching map cases and swords which frankly is less exciting. 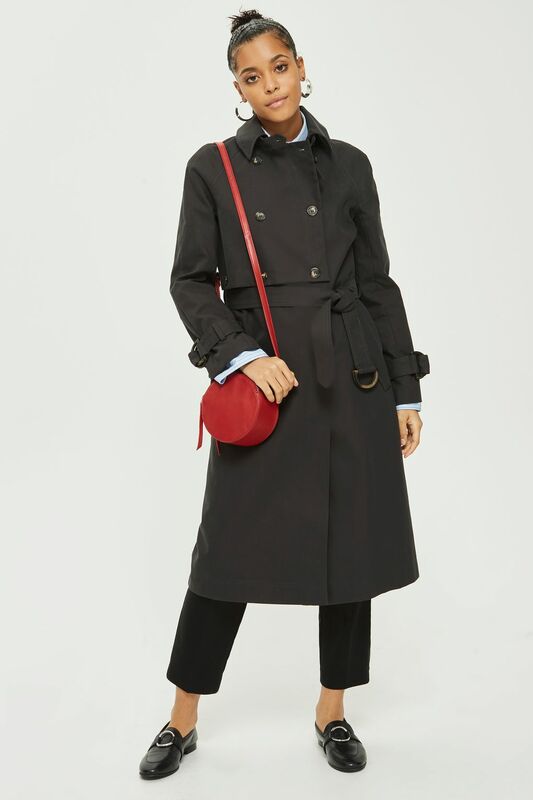 Check out the Classic Burberry Trench Coat. 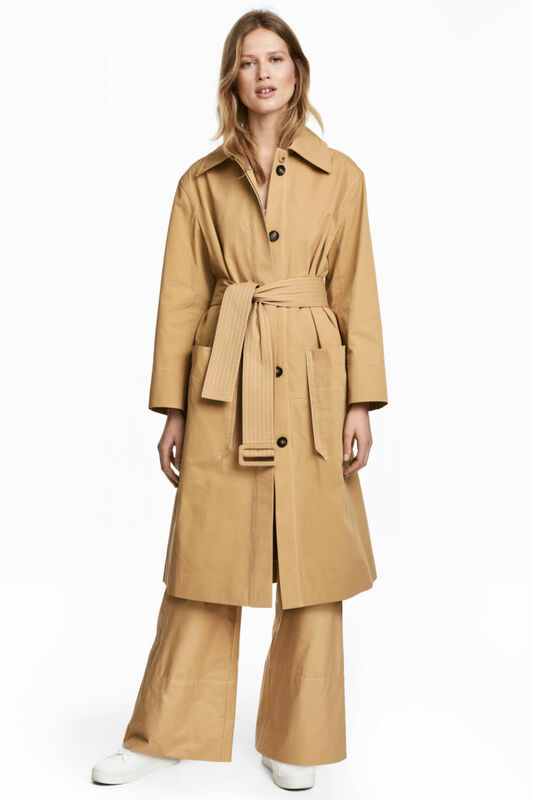 This Trench is less than conventional, shorter but I really like it. It is easily worn dressed up or down. It is a little lighter so will be better to wear when spring finally hits. This is my favourite of them all, because of the colour. I also love the detail, the cut and it is a welcome change to the traditional colours. This looks perfect for the sporadic weather we have now, warm one minute and cold the next. (I think the Sun is broken, I want a refund). The material is thicker enough to keep you warm, the cut is great and it has great detail. If you are looking to matchy-match there is a pair of matching trousers. This is the wild card. Look at the camo, beautiful silhouette goodness this gives its wearer. It would look amazing on anyone. Whilst doing research online and I remembered why I prefer to shop online, especially as it is snowing again. I love the ease. If I go to the store usually it is a Click and Collect, returns or an item I have called ahead for to avoid being in the store for too long. When I do go in the store I have become the man below – lol. In and Out with the quickness. Is anyone with me? I decided on this one for myself, from And Other Stories. I wanted a more traditional version that can be versatile for work and play. The quality of this is excellent, it can be worn all year round and worth the money. This will last me years which is why I do not mind spending more on classic pieces. Check out this outfit idea I had. Which Trench Coat would you choose? 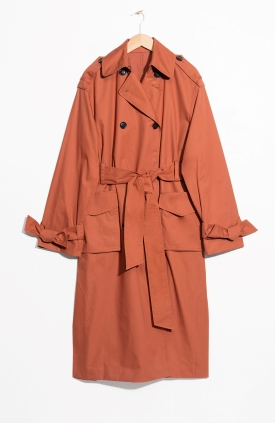 I love the last trench coat but also the orange one. Great inspiration! I’ve not stopped wearing mine LOL. Love them. I love the &otherstories coat. Me too. There’s a store near my job. I’m trying not to go bankrupt lol. Thanks. I love trench coats! The style is amazing so Spring! Great post. Me too. This spring i have really embraced the Trench Coat. Match made in heaven. So do i. Can’t stop wearing mine. I love the shorter unconventional trench coats. They just complete my look every time. And like you have mentioned, they are so light. Great post. thanks. I switch between the Tradntional to a mordern shorter one. Can’t make up my mind. I love it too. Bit of a change doesn’t hurt. I love my Burberry so I would choose the traditional style. They’re all great choices, though! I love the all too, for different occasions. YOur Burberry must be gorgeous.